Draft: 2000, Pittsburgh Pirates, 1st rd. Sean Richard Burnett ... is a 2000 graduate of Wellington (FL) High, the same school that produced Bobby Bradley, PIT's first-round pick in 1999 ... never before had a single club used consecutive first-round selections on players from the same high school ... went 10-1 with 2 saves and 1.04 ERA in 65 innings during his senior season ... as a senior, his team was ranked No. 1 in the USA for most of the season, and he led his team to Florida Class 6A semifinals ... as a junior, he was the winning pitcher in the 1999 Florida State Championship Game ... spurned scholarship offer from University of Miami (FL) to sign professionally with the Pirates. Appeared in just 13 games in first season with Angels but pitched to a 0.93 ERA (9.2 IP - 1 ER) with seven strikeouts, four walks and five holds…Made Angels debut on Opening Day in Cincinnati, striking out the only batter he faced in the eighth inning... Logged a 1.08 ERA (8.2 IP - 1 ER) across first 11 games before being placed on the disabled list on April 28th with left forearm irritation…Made two scoreless appearances following his reinstatement on May 21st before being placed on the disabled list again on May 28th…Missed remainder of season with a left elbow impingement... 12 of his 13 Major League outings were scoreless... Missed a total of 134 games (22 games, 4/28-5/21; 112 games, 5/28-9/29)…The DL stints were the third and fourth of his career. Spent campaign with Washington Nationals and made 70 appearances out of bullpen, posting a 1-2 record with two saves, 31 holds, 2.38 ERA (56.2 IP - 15 ER) and 57 strikeouts for NL East division champions...Reached 70+ games pitched for third time in his career...Posted career-best 31 holds...4.8/1 strikeout-to-walk ratio ranked eighth among NL relievers, second among southpaws...Limited opponents to a .169 clip with RISP...Posted best K/9.0 (9.1) and walks/9.0 rates (1.9) of career...Logged 1.63 ERA in 34 games against NL East rivals. Has built reputation as high-quality lefty reliever ... is 7-13 with 40 holds, 7 saves, just 8 blown saves and a 2.98 ERA (48 ER/145.0 IP) in 175 games since joining the Nationals ... owns Nationals (2005-pres.) record for longest string of consecutive scoreless innings (22.2 innings, Aug. 26, 2010-April 12, 2011) ... PIT's first-round selection (19th overall) in 2000 ... had "Tommy John" surgery performed by Dr. James Andrews, Sept. 22, 2004 ... converted exclusively to relief in 2008 ... signed a 2-year contract extension with a mutual option for 2013 on Dec. 23, 2010. Posted stellar numbers across the board, outside of fluky 1-7 won-loss record...posted career-best efforts in appearances(73), saves (3), innings (63.0), strikeouts (62), K's per 9.0 innings (8.9), holds (20), walks per 9.0 (2.9), strikeoutto-walk ratio (3.1/1), OBP against (.284), slugging percentage against (.297) and ground-ball percentage (71.6%)...led Nationals relievers with a 2.5/1 ground ball-to-fly ball ratio...closed strong, fanning 17 in a team season-high 17.0consecutive scoreless innings dating to Aug. 26...suffered one blown save (July 6 vs. SDP)...was one of 5 MLB relieversto pitch in 70-plus games and suffer less than 2 blown saves (Pedro Feliciano-92, Javier Lopez-77, Matt Belisle-76,Sean Burnett-73 and Joe Beimel-71). Made strong impression with the Nationals after being acquired from PIT in a four-player trade on June 20...combinedwith PIT and Washington, posted 3 wins, one save, a career-best 11 holds and a 3.12 ERA in 57.2 innings...establishedcareer highs for appearances (71), strikeouts (43) and ERA...went 1-1 with 5 holds and a 3.20 ERA (9 ER/25.1 IP) in33 appearances with the Nationals...career-best .181 batting average against ranked 6th in the NL (9th in MLB) amongpitchers throwing 50.0 or more innings...recorded .186 (18-for-97) BAA vs. left-handed batters, .176 (18-for-102) againstthose batting from the right...was one of just 5 NL pitchers (9 in MLB) to post sub-.200 BAAs: LAD's Jonathan Broxton(.138 vs. LH/.190 vs. RH), HOU's Tim Byrdak (.184/.172), FLA's Kiko Calero (.187/.176) and CHI's Angel Guzman(.189/.194)...successfully stranded 83 percent (43 of 51) of inherited baserunners to rank 3rd in the the NL, 4th inMLB...did not pitch after September 23 due to a left thumb contusion. Game-By-Game Highlights: Pitching for PIT, retired both batters faced and stranded all 3 inherited runners in 8-5 loss,May 5 vs. MIL...notched lone win with 3.0-inning relief effort (3 H, ER, BB, 2 K) in 7-4 win, May 16 vs. COL...worked2.0 perfect innings to pocket 8th hold, 2nd with the Nationals, in a 5-2 win vs. ARI, August 8. Spent first full season pitching exclusively in relief...Tied for eighth among National League lefthandedrelief pitchers in innings pitched (Cincinnati's Jeremy Affeldt was first with 78.1ip)...Began season with Triple-A Indianapolis,where he struck out at least one batter in each of his first eight appearances (13 K's total)...Picked up a win in first outing with1.0 scoreless inning of work on 4/5 at Pawtucket...Did not allow a run in his first fiveappearances (8.0ip)...Tossed 3.0 scoreless frames while earning first professional save on4/9 at Syracuse...Recorded a save in three straight appearances from 4/9 thru 4/14...Wasscored upon for first time while suffering loss on 4/16 vs. Pawtucket...Was scored uponin two of his 12 games with Indianapolis...Had contract selected by Pittsburgh on5/4...Made first appearance with Pirates on 5/6 vs. San Francisco and allowed two runsin 0.2 innings of work - his first Major League game since 8/21/04 at St. Louis...Madethree straight scoreless appearances from 5/12-15 (3.1ip) before being scored upon inback-to-back games on 5/20 (1.2ip/2er) and 5/23 (2.0ip/4er)...Pitched season-high 3.0innings on 6/27 vs. Tampa Bay and surrendered one run - a solo homer to CarlCrawford...Was scored upon once in eight games (10.0ip/1er) from 6/19 thru7/6...Suffered lone loss with Pirates on 7/9 vs. Houston...Doubled off St. Louis' Joel Pineiro at PNC Park on 7/13 for first MajorLeague hit, snapping an 0-for-25 start to his career...Issued back-to-back home runs to Reed Johnson and Alfonso Soriano at WrigleyField on 8/3 - the first home runs he had allowed in 15 outings since 6/27...Picked up the win on 8/18 vs. New York (NL) - hisfirst in the Majors since 7/25/04...Made eight straight scoreless outings (6.0ip) before surrendering a two-run homer to MikeCameron at Milwaukee on 8/22...Was scored upon in four straight outings from 8/22-31 (4.0ip/8er), raising ERA from 4.04 to5.24...Did not allow a run and gave up just one hit in his first eight games in September (7.0ip) until allowing a run in 0.1ip on9/21 vs. Houston...Held opponents to a .188 batting average in 13 appearances during the final month...Allowed 13 of his teamhigh43 inherited runners to score...Held left-handed batters to a .171 average (13-for-76)...Went 1-for-3 with a double at the plate. With Indianapolis, endured DL stint from May 31-June 17 with left elbow irritation...made final start on July 3 at Louisvillethen missed remainder of season with discomfort in left elbow...received a cortisone shot from Dr. James Andrews inBirmingham, AL, Aug. 29...pitched in Venezuelan Winter League (1-1, 2.45 ERA, 6 games) (four starts) with Zulia. Spent entire season with Triple-A Indianapolis...Led club in victories, starts and innings pitched after returning to action following "Tommy John" surgery on left elbow in 2004...Tossed 5.0 scoreless frames and picked up victory in first start on 4/9 at Pawtucket (game two) - his first game action since 8/21/04...Also recorded win in second start on 4/14 vs. Syracuse (5.0ip/2er)...Pitched season-low 0.2 innings while suffering loss on 4/30 vs. Columbus (6r/5er)...Lost three straight decisions from 4/20 thru 5/17...Won back-to-back starts on 5/23 and 5/28, surrendering just two earned runs in 10.2ip...Surrendered six runs in 2.1 innings of work in loss on 6/8 vs. Pawtucket...Pitched 5.0 scoreless innings in victory at Rochester on 6/13...Made lone "relief" appearance on 6/25 vs. Richmond - tossed 6.1 innings in the completion of a suspended game...Walked season-high five batters while posting final victory on 8/14 at Charlotte...Surrendered season-high eight runs on 8/25 at Columbus...Lost five of his final six decisions...Went 5-for-17 (.294) at the plate...Had a pair of two-hit games (6/24 vs. Richmond and 7/28 at Norfolk). Missed entire season recovering from "Tommy John" surgery on left elbow (9/22/04)...Threw off a mound for the first time since the surgery on 1/11 during club's mini-camp in Bradenton, FL. Began season with Nashville (AAA)...Won his first decision of the year; a 4-2 victory vs. Albuquerque on 4/23...Did not allow a home run in his first seven starts (31.2ip) before serving up two on 6/4 vs. Iowa...Was recalled by Pittsburgh on 5/30 and made major league debut that afternoon vs. Chicago (NL), allowing one run in 5.0 innings of work...Made his debut at the age of 21 years, eight months and 13 days, the youngest Pittsburgh pitcher to make his major league debut since Jeff Wallace (21 years, four months, nine days) on August 21, 1997...Was optioned back to Nashville on 5/31...Was recalled by Pittsburgh a second time on 6/19...Started that night vs. Seattle and retired the first 12 batters he faced, but suffered first big-league loss in 5-1 decision (5.1ip/4h/4r/4er/1bb/3so)...Left the game in the 6th inning after being struck in the left arm on an Ichiro Suzuki line drive...Limited Houston to three runs in 7.0 innings of work, but lost a 3-2 decision to Roger Clemens on 6/24 @Minute Maid Park...Registered first major league victory while tossing 6.0 scoreless innings in a 3-0 combined shutout on 6/29 vs. St. Louis...Tossed first career shutout on 7/9 against Montreal in San Juan, Puerto Rico (10h/0bb/3so), the first Pittsburgh rookie to twirl a shutout since Steve Parris on 8/15/95 (he was also the youngest Bucco to throw a shutout since 20-year-old Don Robinson on 5/14/78)...Won third straight start after allowing one run in 7.0 innings of work on 7/20 vs. Montreal...Became the first rookie during the 2004 campaign to win five straight starts in his next outing on 7/25 vs. Cincinnati (Florida's Dontrelle Willis - seven, Houston's Jeriome Robertson - six and San Francisco's Jerome Williams - five had the longest streaks in 2003)...Became first Bucco rookie since Mike Dunne in 1987 to win five straight starts (the only Pittsburgh rookie to win six straight starts was Bob Chesnes in 1948)...Had shortest outing of the season (2.1ip) while also having his five-game winning streak come to an end on 7/30 @Milwaukee...Allowed four 1st-inning runs, including back-to-back-to-back home runs in 8-3 setback on 8/5 @Los Angeles...Was roughed up for a season-high eight runs and lost his third straight decision on 8/21 @St. Louis...Left the contest on 8/21 with left elbow irritation...Was placed on the 15-day disabled list on 8/23 for the remainder of the season with left elbow irritation...Had "Tommy John" surgery on his left elbow on 9/22; surgery performed by Dr. James Andrews in Birmingham, AL....Did not allow a home run in his first seven starts (45.1ip), but surrendered nine long balls over his final six outings (26.1ip)...Allowed a total of 12 runs in the 1st inning...Went 0-for-23 with two sacrifice bunts at the plate...The Pirates went 7-6 in his 13 starts. Spent entire season with Altoona (AA)...Was named the Eastern League's Pitcher-of-the-Year and was a member of the league's mid-season and post-season All-Star squads...Was tabbed by Baseball America as the league's Best Pitching Prospect, 14th-best EL prospect and was named to the Double-A All-Star team following the season...Led the league in wins and ranked fifth in ERA and innings pitched...Established career highs in wins and starts...Tied Ian Oquendo for the most victories by a Pittsburgh farmhand and matched Landon Jacobsen for the most starts...Set Curve single-season records for most wins by a left-handed pitcher and fewest home runs allowed...Also equaled the franchise mark for most games started...Dropped his first Double-A start, allowing one run in 5.0 innings on 4/4 @Reading...Held the Phillies hitless for 5.0 innings in his second start, earning the win on 4/10...Went 4-0 with a 1.45 ERA (37.1ip/6er) in six starts from 5/9 thru 6/7...Tossed a two-hit shutout on 6/18 vs. Trenton...Did not allow a homer in his first 88 innings and no more than three earned runs in his first 15 outings...Won five straight decisions from 6/18 thru 7/21...Was elected to the Double-A All-Star Game on 7/16, but did not pitch...Lost consecutive starts for the second time in his career on 7/26 @Bowie and 7/31 @Akron (2.0ip/8er)...Posted a 6.68 ERA (31.0ip/23er) in July...Threw 8.0 scoreless innings on 8/18 vs. Bowie...Tossed a rain-shortened 5.0-inning complete game on 8/29 vs. Erie (game 2)...Was placed on the disabled list on 9/1 with left elbow discomfort and did not pitch again...Surrendered just two homers in 159.2 innings of work...Went 9-1 while pitching at home @Blair County Ballpark. Spent entire season with Lynchburg (A) and helped the Hillcats win the Carolina League title...Named the Pirates organizational Pitcher-of-the-Year for the second consecutive season...Participated in the All-Star Futures Game at Miller Park in Milwaukee. ...Was named a Baseball America first-team All-Star and a high Class-A All-Star...Also ranked by Baseball America as the No. 1 prospect in the CL, the league's best pitching prospect and was recognized as having the best breaking pitch and control...Was named the league's Most Valuable Pitcher...Ranked second among league leaders in ERA and tied for third in wins...Also finished third among hurlers in batting average against among starters (.210)...Led Pittsburgh organization in ERA and wins and ranked second among Pirate farmhands in winning percentage (.765) and complete games...Went 7-0 with a 1.19 ERA (53.0ip/7er) in his first seven starts. ...Tossed consecutive complete games on 5/14 @Winston-Salem (7.0ip/1er) and 5/19 vs. Frederick (9.0ip/1r/0er)...Was named the league's Pitcher-of-the-Week for week of 5/16-22...Was victorious in 12 of his first 13 decisions, losing lone game on 5/25 @Wilmington...Tossed 32 consecutive scoreless innings from 6/4 thru 7/4, tops in the minor leagues...Allowed just two runs over six starts from 6/9 thru 7/12...Was the league's Pitcher-of-the-Month for the month of June after going 4-0 with a 0.00 ERA (28.2ip) in five starts...Lost three straight decisions from 7/24 (game one) thru 8/20...Was tagged for eight runs on 10 hits on 8/20 @Frederick (3.2ip)...Rebounded to toss 8.0 scoreless frames in next start on 8/25 @Potomac and 7.0 shutout innings in his final start on 8/30 @Salem...Held opponents to a .161 average after the 4th inning during the season and did not surrender a run past the 6th inning. ...Yielded more than three runs in just four of his 24 starts...Posted a 7-2 record and a 0.74 ERA (73.1ip/6er) in 12 starts at home. ...Was a member of the Carolina League's mid-season and post-season All-Star teams...Was also named to Sportsticker's All-Teen team and to the USA Today/Sports Weekly Minor League All-Star team. Spent entire season with Hickory (A)...Was named Pittsburgh's Minor League Pitcher-of-the-Year...Ranked sixth among South Atlantic League pitchers in ERA...Led all Pirate farmhands in strikeouts and ranked second in ERA...Finished in three-way tie for most wins in Bucco farm system...Tossed 6.1 shutout innings in his first start and victory on 4/5 vs. Hagerstown...Lost consecutive decisions on 4/26 @Lexington (5.0ip/2er) and 5/1 @Kannapolis (6.0ip/3er)...Went 2-2 with a 1.84 ERA (29.1ip/6er) in his first five starts thru the month of April...Was charged with just one earned run in three starts from 5/12-22 (18.0ip)...Yielded three earned runs or less in each of his first 13 starts...Went 5-1 with a 1.81 ERA (39.2ip/8er) in six starts from 6/24 thru 7/24. ...Surrendered career-high three home runs on 7/5 @Asheville...Tossed first professional complete game and whiffed a career-high 11 batters on 7/17 vs. Charleston-WV...Registered a decision in 14 consecutive starts from 5/22 thru 8/12 (going 9-5 over that stretch)...Pitched at least 6.0 innings in 19 of his 26 starts and allowed three earned runs or less in 24 of his starts. Made his professional debut with Bradenton (Rookie) after being selected by Pittsburgh in the first round of the June draft...Started and retired only one batter in his pro debut on 7/7 vs. the Expos (0.1ip/2h/2er)...Made his first relief appearance on 7/22 vs. the Phillies (game one)...Tossed 6.0 scoreless frames in a no-decision on 8/3 vs. the Expos...Suffered loss to the Phillies on 8/9...His first professional win came in second relief appearance on 8/16 vs. the Phillies (5.0ip/2er)...Also earned win in final outing of the season on 8/26 vs. Phillies (7.0ip/1r)...Posted a 2.00 ERA (18.0ip/4er) in his final three games (two starts)...Did not surrender a home run...Recorded an 8-to-1 strikeout-to-walk ratio. February 23, 2019 LHP Sean Burnett assigned to New York Mets. June 18, 2018 New Orleans Baby Cakes released LHP Sean Burnett. May 2, 2018 New Orleans Baby Cakes activated LHP Sean Burnett from the 7-day disabled list. April 27, 2018 New Orleans Baby Cakes placed LHP Sean Burnett on the 7-day disabled list retroactive to April 25, 2018. April 18, 2018 LHP Sean Burnett assigned to New Orleans Baby Cakes from Jupiter Hammerheads. April 13, 2018 LHP Sean Burnett assigned to Jupiter Hammerheads. 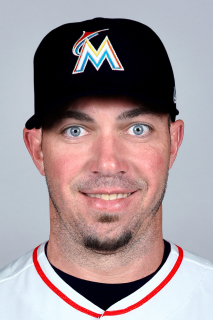 March 17, 2018 Miami Marlins signed free agent LHP Sean Burnett to a minor league contract. March 17, 2018 LHP Sean Burnett assigned to New Orleans Baby Cakes. December 19, 2016 LHP Sean Burnett assigned to Lehigh Valley IronPigs. December 12, 2016 Philadelphia Phillies signed free agent LHP Sean Burnett to a minor league contract and invited him to spring training. November 3, 2016 LHP Sean Burnett elected free agency. October 7, 2016 Washington Nationals activated LHP Sean Burnett. September 2, 2016 Washington Nationals selected the contract of LHP Sean Burnett from Syracuse Chiefs. August 19, 2016 Rochester Red Wings traded LHP Sean Burnett to Syracuse Chiefs. May 24, 2016 Minnesota Twins signed free agent LHP Sean Burnett to a minor league contract. May 24, 2016 LHP Sean Burnett assigned to Rochester Red Wings. May 20, 2016 Gwinnett Braves released LHP Sean Burnett. May 3, 2016 Atlanta Braves signed free agent LHP Sean Burnett to a minor league contract. May 3, 2016 LHP Sean Burnett assigned to Gwinnett Braves. May 2, 2016 Oklahoma City Dodgers released LHP Sean Burnett. April 11, 2016 LHP Sean Burnett assigned to Oklahoma City Dodgers. April 10, 2016 Los Angeles Dodgers signed free agent LHP Sean Burnett to a minor league contract. April 3, 2016 Syracuse Chiefs released LHP Sean Burnett. November 29, 2015 LHP Sean Burnett assigned to Syracuse Chiefs. November 15, 2015 Washington Nationals signed free agent LHP Sean Burnett to a minor league contract and invited him to spring training. October 31, 2014 LHP Sean Burnett roster status changed by Los Angeles Angels. May 23, 2014 Los Angeles Angels activated LHP Sean Burnett from the 15-day disabled list. May 10, 2014 Los Angeles Angels sent LHP Sean Burnett on a rehab assignment to Arkansas Travelers. November 4, 2013 Los Angeles Angels activated LHP Sean Burnett from the 60-day disabled list. August 10, 2013 Los Angeles Angels transferred LHP Sean Burnett from the 15-day disabled list to the 60-day disabled list. Impingement in his left elbow. May 28, 2013 Los Angeles Angels placed LHP Sean Burnett on the 15-day disabled list retroactive to May 27, 2013. Impingement in his left elbow. May 21, 2013 Los Angeles Angels activated LHP Sean Burnett from the 15-day disabled list. May 18, 2013 Los Angeles Angels sent LHP Sean Burnett on a rehab assignment to Inland Empire 66ers. April 28, 2013 Los Angeles Angels placed LHP Sean Burnett on the 15-day disabled list retroactive to April 27, 2013. Left forearm irritation. December 12, 2012 Los Angeles Angels signed free agent LHP Sean Burnett. November 3, 2012 LHP Sean Burnett elected free agency. June 30, 2009 Pittsburgh Pirates traded CF Nyjer Morgan and LHP Sean Burnett to Washington Nationals for RHP Joel Hanrahan and LF Lastings Milledge. February 1, 2008 Pittsburgh Pirates designated LHP Sean Burnett for assignment. October 2, 2007 Pittsburgh Pirates activated LHP Sean Burnett. March 21, 2006 Pittsburgh Pirates reassigned LHP Sean Burnett to the minor leagues. November 18, 2005 Pittsburgh Pirates activated LHP Sean Burnett from the 60-day disabled list. October 6, 2004 Pittsburgh Pirates transferred LHP Sean Burnett from the 15-day disabled list to the 60-day disabled list. August 22, 2004 Pittsburgh Pirates placed LHP Sean Burnett on the 15-day disabled list. June 19, 2004 Pittsburgh Pirates activated LHP Sean Burnett. May 31, 2004 Pittsburgh Pirates reassigned LHP Sean Burnett to the minor leagues. April 3, 2004 Pittsburgh Pirates reassigned LHP Sean Burnett to the minor leagues. November 20, 2003 Pittsburgh Pirates activated LHP Sean Burnett.